The play that inspired the 1992 blockbuster film is on stage at Circle Theatre through Saturday, June 16. 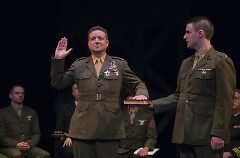 A Few Good Men - Actor Feature | Circle Theatre from Way Creative on Vimeo. 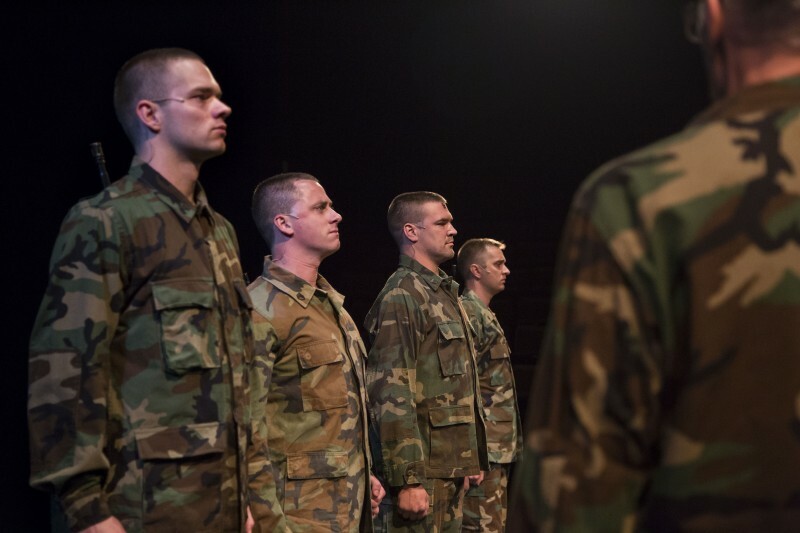 From insightful character development to a venue that transports viewers right into the show, “A Few Good Men” is a theatre experience that both entertains and pushes audiences to question their own beliefs of right and wrong, all while paying homage to the military. “‘A Few Good Men’ is, at its heart, a story of the opposing ideas of structural rigidity and individualism, and some of the freedoms that that carries with it,” says Mike Hull, Director. The show, written by Aaron Sorkin, tells the story of two Marines stationed in Guantanamo Bay who are on trial for the death of a fellow Marine. Their Navy lawyer, Lieutenant Daniel A. Kaffee, expects a plea bargain and is hesitant to take on their defense. 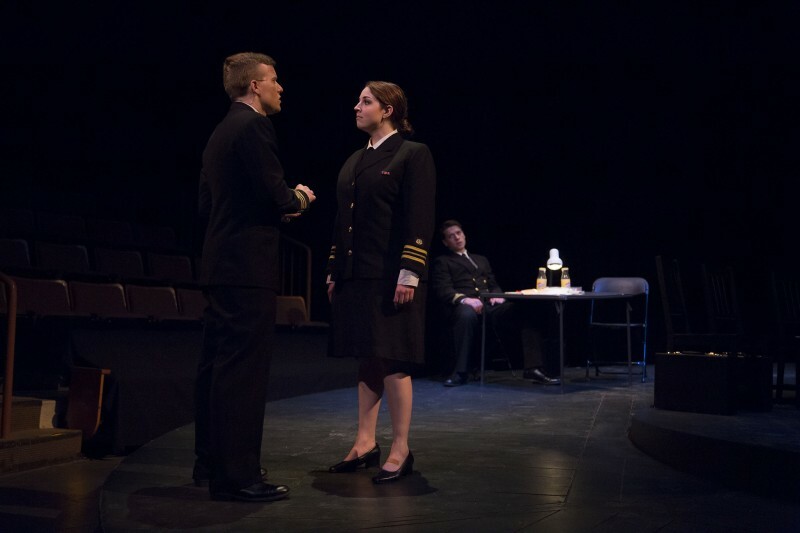 Lt. Kaffee is persuaded by a female member of the legal team, Commander Joanne Galloway, who suspects there is more to the case than everyone has been led to believe. The legal team enters a plea of not guilty, and a trial ensues. “I get a lot of joy out of playing very strong women. Joanne Galloway is extremely tenacious, and she is always on fire. She works really hard for what she wants. She’s got great work ethic,” says Chelsea Pummill, who portrays Joanne Galloway in the show. Colonel Nathan Jessep, the antagonist, provides an interesting angle of conflict in the show. While Jessep is traditionally considered the villain of the story, he truly believes his actions are in the best interest of the safety of his country. “It’s my job to always look at this character as the hero of his story. No character, no matter who they are, thinks of themselves as the villain. They always have a reason for making the choices they make,” says Todd Lewis, who plays Nathan Jessep in the show. “What I really had to do was delve into why he is the way he is, the choices that he makes, and find the reasons within myself why I could rationalize those,” says Lewis. “Whenever I start with a character, it’s easiest to start with what I have in common with this person. And then I like to go in and find what’s inherently different…and I realize [that] these things that are so different about this person, that’s a part of me, too,” says Pummill. Anyone who has seen the film will recall the iconic courtroom scene between Tom Cruise and Jack Nicholson. And while the film does a great job depicting the story, it’s nothing like seeing this show live in Circle Theatre’s venue. The tension can be felt as the story progresses, and during the trial, audiences feel as if they are witnessing it right alongside the characters. “Find the humanity in each of these characters and find yourself in them as well. We all have experience getting pulled into situations we do not feel ready for; how we act in those situation is how we define who we are,” says Hull. To encourage discussion on the show’s themes, Circle Theatre will hold a talkback following Friday’s performance. This Community Conversation will dive deep into the topics of honor, code, and politics, and what they mean in today’s America. The talkback will include both a Q&A and a panel discussion with community leaders, comprised of Brian Lennon of Warner Norcross and Judd and former judge advocate for the U.S. Marine Corps and Kirk Lannon, Sergeant in the Michigan Army National Guard assigned to the 46th Military Police Command in Lansing. The talkback will be facilitated by Circle Theatre Past President and Board Member Scott Keller, who has practiced intellectual property and Internet law and litigation for more than 30 years. “I encourage people who come to see this show to come with an open mind. I feel you can watch this play and you can make an argument for both sides of what happens,” says Lewis. 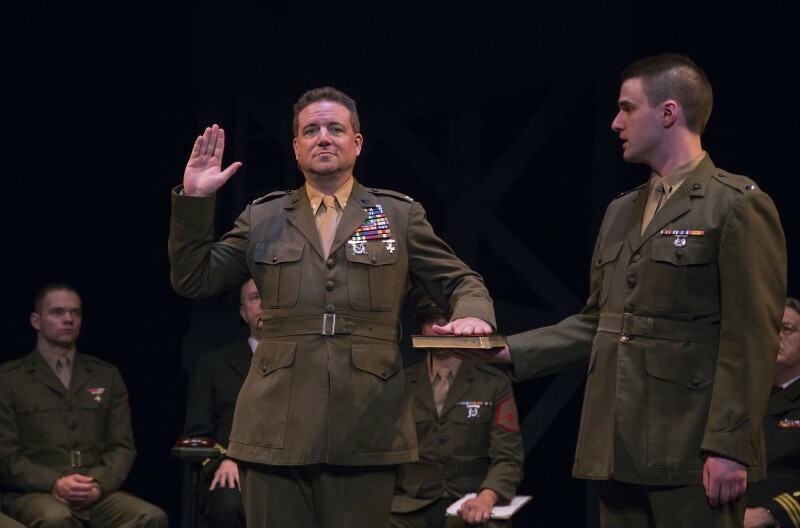 “A Few Good Men” is on stage at Circle Theatre Wednesday through Saturday at 7:30 p.m. Use the coupon code TRUTH for a buy one get one free ticket to see the show. The offer is available online, by phone, or in person at the Circle Theatre box office. Click here for tickets, or call the box office at 616-456-6656.